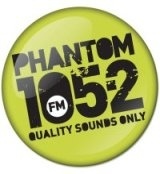 An extra slot for me this weekend on Phantom 105.2. I’m filling in for Cathal Funge on Saturday morning 0800-1100, and will be on as usual on Sunday evening 1900-2100 with Random Access. Busy otherwise with edits on the book flying back and forwards to my agent, currently working on the middle third, and the bleak winter of 1987/8. Spring 88 was better, and gave Kylie to the world, though in those days she was a run-of-the-mill SAW artist, and didn’t look destined for mega-stardom. I’m so deep in the edits, and it’s taking up so much of my spare time, that I’m starting to dream Caroline again . .